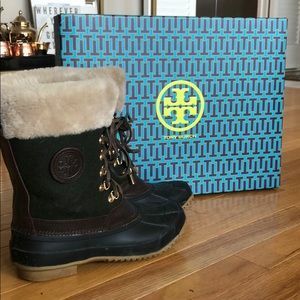 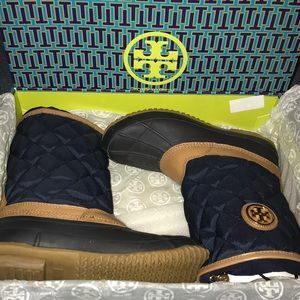 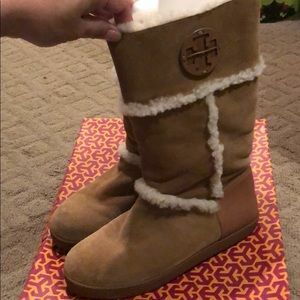 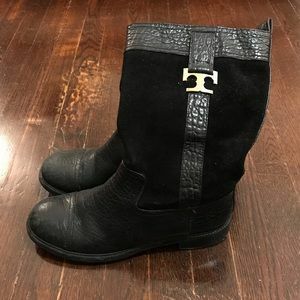 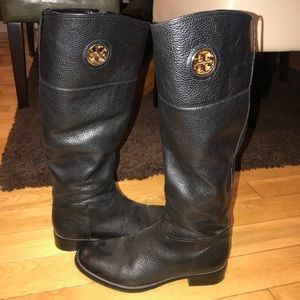 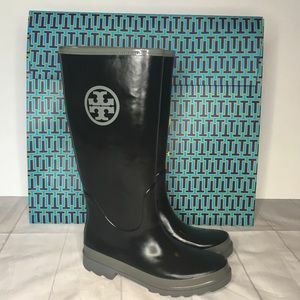 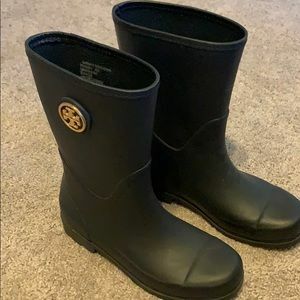 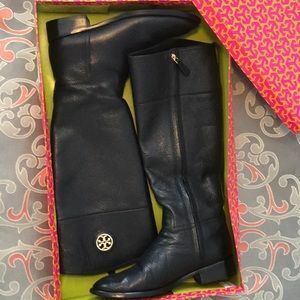 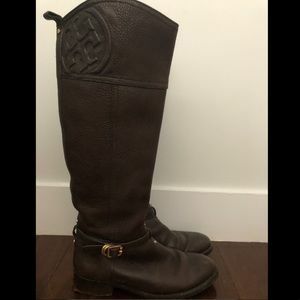 Almost new Tory Burch leather and shearling boots women’s size 10. 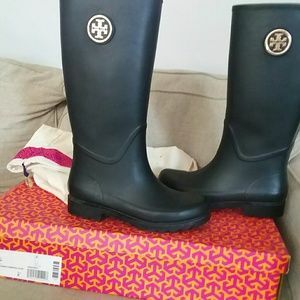 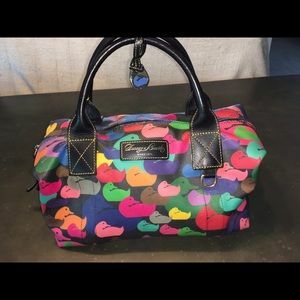 Boot bag included, see photos for shaft height and calf width. 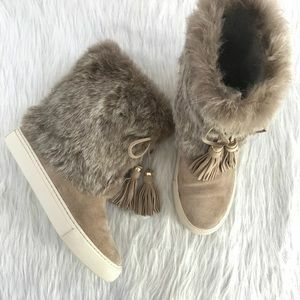 Shearling goes from leather upper to top of boot. 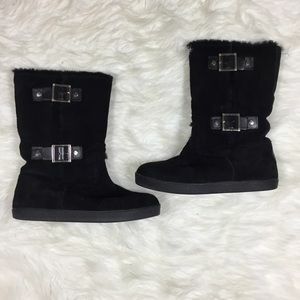 Foot area is not shearling lined. 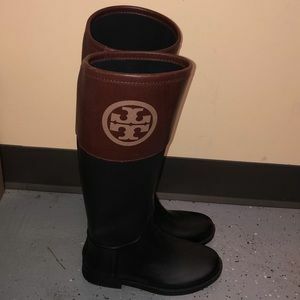 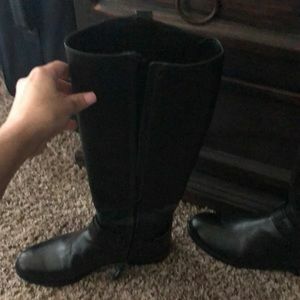 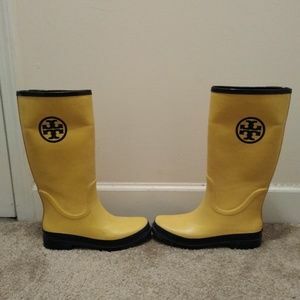 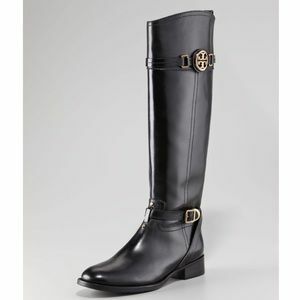 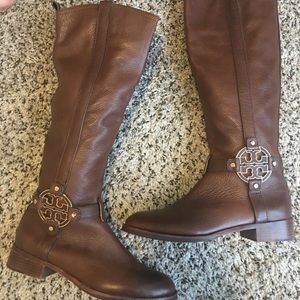 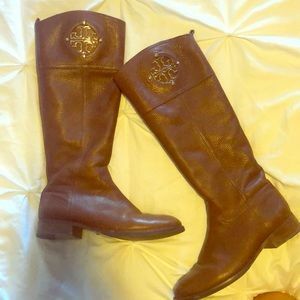 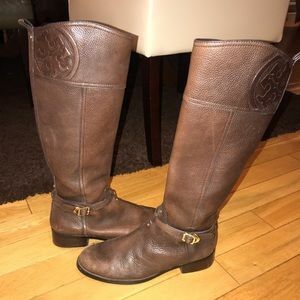 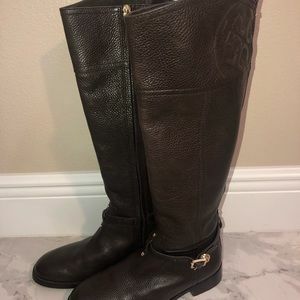 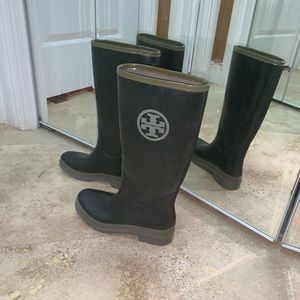 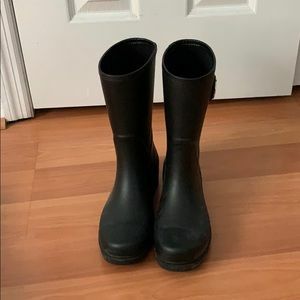 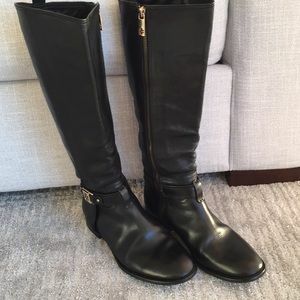 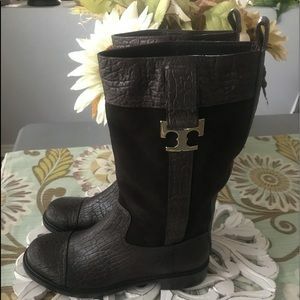 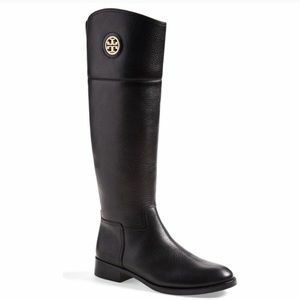 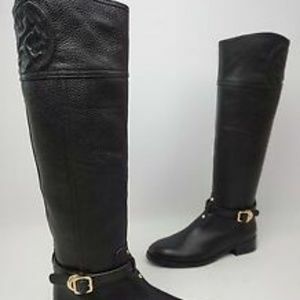 Tory Burch tall riding boots in brown !